Much fuss has been made of Leonardo DiCaprio and his “almost” Oscar awards. He’s come close so often that his name is being considered as a replacement for the word “horseshoe” in a certain popular phrase. The reality of awards is this: being nominated for an award, or being in the running for a possible award is, in fact, more prestigious than actually winning it. How can I claim such a foolish statement to be true? Isn’t anyone other than an award winner an award loser? When it comes to awards such as Oscars or any other award involving human judgement, the difference between winning first place or second place could be the difference of whether a judge is in a good mood, had a good meal, slept well the night before, or has a bad case of indigestion. The subjectivity of awards is too, well, subjective to put too much stock into the ultimate decision. That doesn’t mean that an award-winner shouldn’t be proud of her accomplishment. It only means that the real accomplishment was getting into consideration in the first place. I’ve been involved in a bunch of theatre festivals over the years, and I am always thrilled when I’m lucky enough to walk away with an award. But when going head-to-head with many various scripts and a myriad of judges who will view each competing drama differently, I can only hope to cross my fingers and feel lucky. It is, however, an honor when one of my scripts is chosen or shortlisted for an award. That is the recognition that it stands out from the crowd. Two of my favorite young actors were competing in a duet acting competition this weekend using one of my new scripts. Out of a field of many different schools, they were chosen to compete in the finals with five other competitors. They ended up by pulling in the silver medal for the competition, and I am most proud of them. Should I have been more proud if they had won gold instead? Certainly not. I am proud of their dedication and their attention to detail that gave them the opportunity to shot for the gold. That is the real accomplishment. Judging is fickle and can vary from day to day, but excellence stands out from the crowd any day of the week. So even if good ‘ole Leonardo doesn’t win for “The Revenant” this year, the nomination his way is achievement enough and proof that winning isn’t everything. I found myself writing a short play over the weekend. It’s set in 1932 Central Park, NY. There are two characters: one Eulalie from Harlem and Becky, not from Harlem. As I was writing, I chose the name Eulalie for the girl from Harlem based on an actress from the Harlem Renaissance era named Eulalie Spence. I named my character Eulalie Spencer. The character in the play is a young girl, age not specified, who wants to be an actress in Harlem with the Lafayette Players, a real-life drama group, which disbanded in 1932. The play that I wrote is not a historically accurate piece. That wasn’t my goal. I was just following an idea which took me down the road of race relations in the early 1930s and the Wonder Bread took on some sort of symbolic meaning during the course of the piece. As I was writing this, I found myself having to balance between keeping it somewhat historically accurate while at the same time making it accessible to anyone in 2015 who would actually see it. And I mean anyone! Example: this piece will probably be performed as part of a high school forensics competition in an international school setting. There will be no African-Americans there. There will not be anyone present who would have any idea what the Harlem Renaissance was or who the Lafayette or Alhambra Players were. And so as I wrote this, it became obvious that a historical setting like this can only be effective in this setting if there are universal themes and if the historical information will not be a hindrance to the audience. 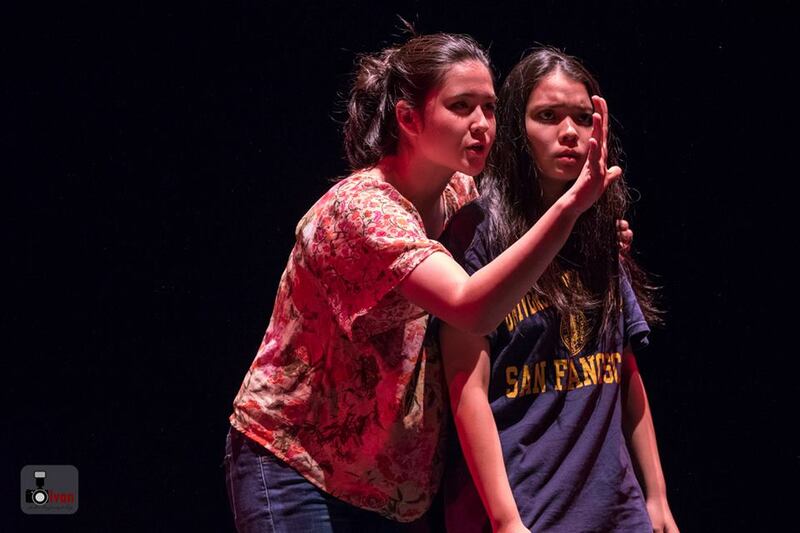 How I did remains to be seen, but I worked hard to bring out themes of friendship, cultural divides, and reconciliation that anyone could understand – especially anyone from a country like Malaysia which has so much diversity yet sits uncomfortably on the precipice concerning racial harmony. On the historical side, I tried to use real group names, real context of Harlem in the early 1930s, and I hope I have succeeded. Another one that deserves the musical treatment. Composers anyone? Three Duets, Two Solos needed. That’s it! The forensics coach at my school approached me today. She said that she only needs three duets and two solo acting scripts for her kids to work on. Starting last year, the team asked me to write them scripts which they could perform at their forensics competition in February. Last year, one performance of my script won a gold medal and a different performance of a different script won bronze. So now they want me to write more. I’m thrilled, actually. I love being able to write for something that has an immediate impact. Writing for a need and a particular performance is one of the more gratifying writing outputs, so I’m happy to help. I have to come up with a bunch of scripts – and fast. So this is very do-able. I just now have to do it. Actually, I already have a bunch of ideas. Two weeks ago I had one of those epiphany moments and within a matter of 40 minutes or so, I had five or six tangible ideas for short plays or duets. Now I just need to sit down and write them. This blog post could be considered stalling, and it wouldn’t be wrong. I tend to like to wait for the last minute. There’s something freeing about not having time to dilly-dally. Anyways, I feel fortunate to be in the position to have a creative use for my writing. Not everyone can claim that, so I’m going to push ahead and see what I can create. About a week later, my frantic colleague returned to me and asked if I could write ANOTHER one and have it published because a different pair of my actors also couldn’t find a suitable duet script for the Southeast Asian Forensics Competition 2015 which was held last week in Kuala Lumpur. Once again, I was delighted to help. I found a suitable topic and within a day had the script “Words to Say at the End of the World” published. My work was finished, but since the time that I wrote the scripts, these two pairs of actors, along with their forensics coach, have been working furiously on them. Well, we just got the results. The performance of “Words Do Say at the End of the World” won the gold medal and “GeneRations” won bronze. Don’t get me wrong, ALL the credit go to these amazing young actors whom I am very proud of. But I am delighted that they found my scripts to be the right amount of substance and creativity which enabled them to show off their talents – and they sure did. 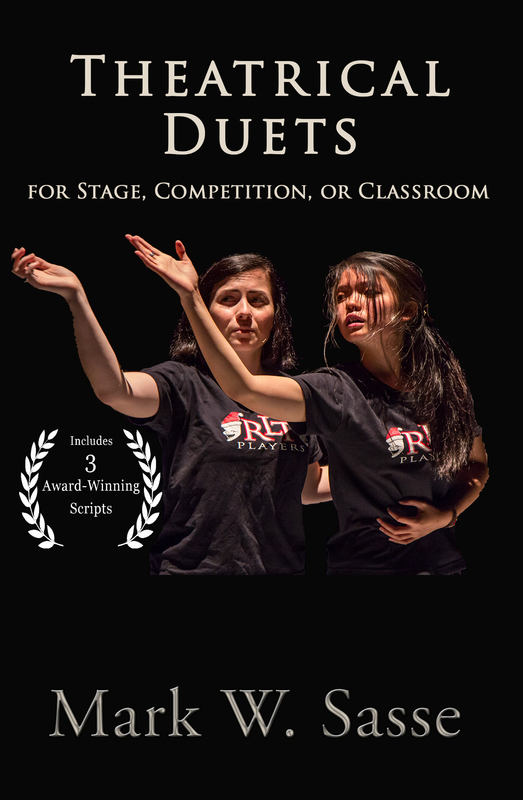 So if you are looking for a couple duet scripts which have been used to win awards, you can check them out on the link below. You will note that they were published under the pseudonym – WR Charles – the name I use for publishing short dramas. Please check them out and I’d be delighted to hear your feedback. I’m back into full-swing theatre mode. So much of my day revolves around theatre and drama, and, of course, I love all of it. But it is a telling sign of what’s to come. Here’s a quick run-down of all theatre related items I did today. A colleague came to talk to me about a duet act which two students are having trouble visualizing. It’s a piece I wrote, so she was asking me how I saw the two characters. In my drama class, we defined theatrical performance and talked about audience dynamics. Plus we played some silly acting games. I was pulled out of my classroom into a production meeting concerning our big musical coming up. The set designers wanted to confirm my thoughts on their ideas. I met with two other colleagues, our voice director and choreographer, and we walked through all 13 of the original songs that go with our new production. We were mapping out ideas and trying to figure out how to effectively rehearse with 29 students in the cast. A student came by and asked me to meet with him next week to go over his character for an upcoming duet. Tonight, I’ll probably do some drama writing for some of the plays and musical items I’m planning to write. This was my day – and that doesn’t count my regular job which isn’t related to theatre. Drama is, for me, an act of love. So all in all, it was a great day.